This is the seventh book in a series of discussions about the great minds in the history and theory of finance. 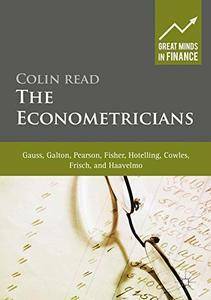 While the series addresses the contributions of scholars in our understanding of financial decisions and markets, this seventh book describes how econometrics developed and how its underlying assumptions created the underpinning of much of modern financial theory. 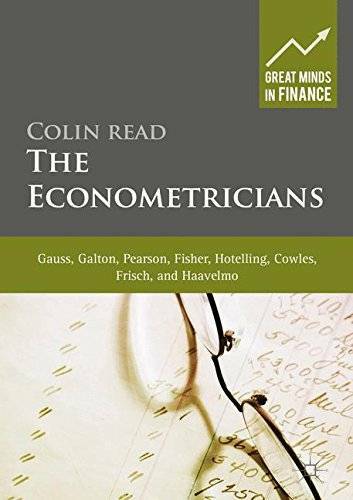 The author shows that the theorists of econometrics were a mix of mathematicians and cosmologists, entrepreneurs, economists and financial scholars. The author demonstrates that by laying down the foundation of empirical analysis, they also forever determined the way in which we think about financial returns and the vocabulary we employ to describe them. Through this volume, the reader can discover the life stories, inspirations, and theories of Carl Friedrich Gauss, Francis Galton, Karl Pearson, Ronald Aylmer Fisher, Harold Hotelling, Alfred Cowles III, Ragnar Frisch, and Trygve Haavelmo, specifically. We learn how each theorist made an intellectual leap simply by thinking about a conventional problem in an unconventional way.